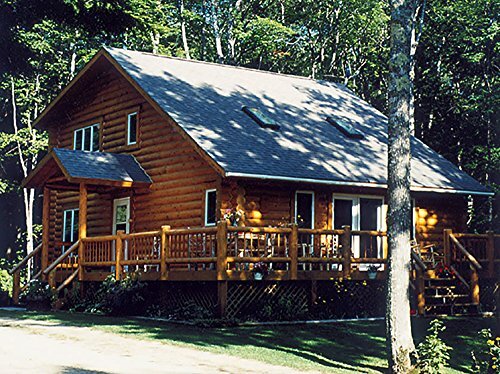 You’ve applied Capture Log Stain and your log home is now the perfect color – the one you always dreamed of. Now it’s time to apply Cascade Clear Top Coat to help keep your home in picture-perfect shape for years to come. Cascade’s sheen brings out the depth and character of the wood grain while minimizing color shifts in the Capture Log Stain. Its easy-to-apply water-based formula makes routine maintenance simple and headache-free, so you get to spend more time enjoying your home, not working on it. Maintenance made easy: Skip the arduous work of completely removing your stain when it needs refreshing. 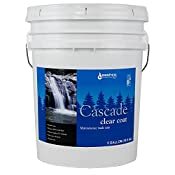 Simply clean the surface, apply Cascade to bring back that just-stained look, and get back to life. Easy to know when: If the surface has lost its sheen, it's time for maintenance. No second-guessing necessary. It's the easiest way to keep your home looking like the day it was finished. Won't discolor chinking: Cascade is clear, so routine maintenance applications won't affect the color of your chinking or other sealants. Resists mildew & algae: Ensures that unsightly growths stay where they belong - in a lab, not on your logs.